Royal Bank of Canada (RBC), MasterCard and other Canadian issuing banks have begun pilot testing an NFC version of Nymi, a biometrically authenticated wristband that uses the wearer’s unique cardiac rhythm to verify their identity. 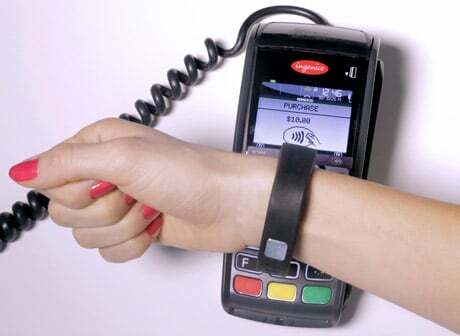 Once a customer’s wristband is activated, “they can leave their phone at home while they go for a run or run an errand and conveniently and securely buy a coffee or groceries with a tap of the wrist”, says Jeremy Bornstein, head of payments innovation at RBC. Users authenticate to the Nymi when they put the wristband on, and then stay authenticated until it is taken off. “Payments is a great use case for persistent identity, because making the experience seamless for consumers is just as important as providing the trust and security that only you can authorize a payment with your account,” adds Andrew D’Souza, president of Nymi developer Bionym. The company began shipping its Nymi band to partners and key developers in October and is now inviting others to join the payments pilot.